Weekly and monthly group or one-on-one wellness, lifestyle and health coaching programs, positive psychology, nutritional counseling, pantry and grocery cart makeover, menu planning guidance and other services. We meet in person, via telephone or Facetime/Skype. Please inquire for rates and additional information. 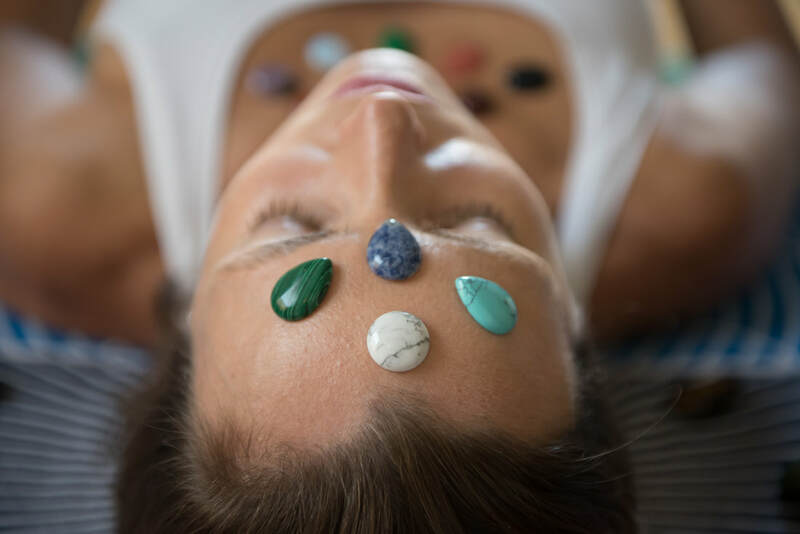 Personalized one-hour session using the power of energy healing (reiki), precious and semi-precious gemstones and minerals (crystal therapy) or therapeutic sound instruments (sound bath meditation.) Please inquire for rates and additional information. Therapeutic, vinyasa, restorative, yin, nidra and prenatal yoga classes carefully designed to suit your own needs. Customized practice that may include movement (asana), breathwork (pranayama), meditation (dhyana), mudras, mantras and affirmations. Hands-on support and aromatherapy with pure essential oils can be incorporated, if desired. LIFESTYLE MENTORSHIP PROGRAMS, PRIVATE INSTRUCTION, SEMI-PRIVATE, GROUP SESSIONS and SPECIAL EVENTS (corporate/office classes, parties, fundraisers and other events) also available. Please inquire for rates and additional information. ​Cancellation policy: please give at least 48 hours notice for group and 24 hours for private session. Thanks. "This is the yoga you can feel in your heart! 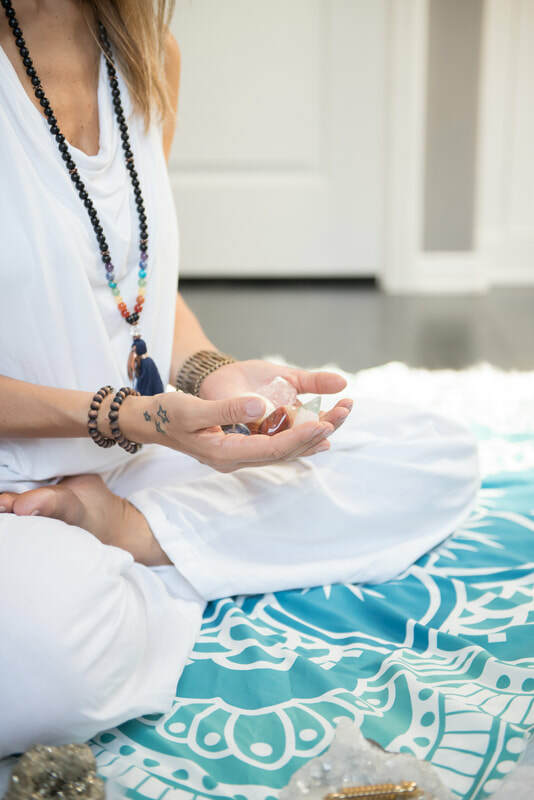 Give your soul wings with a beautifully crafted class that combines traditional Vinyasa yoga with aspects of Yoga philosophy, energetic exploration and healing, meditation, pranayama (breathing exercises), and a soulful flair that will leave your cup filled and your heart full!" "Dear Flavia, I want to reach out to give my sincere gratitude for your direction in class. Your warmth and guidance provides a safe space of balanced support that encourages me to challenge myself while remaining present and true to my mind and body. I deeply appreciate your methods and grace. Spring blessings!" Dalia A. "I love, love all that Flavia creates, especially her jewelry! And let's not forget her restorative yoga is amazingly relaxing and the benefits are evident the moment you stand up from your session!" Michelle S.
"I love Flavia, she is an excellent teacher who genuinely loves what she does. She pours her heart into her practice and other people. She is kind, genuine and true. I love taking her classes. She always gives helpful advice and adjusts things to your level or shows you how to modify. I would recommend everyone to take her class." Kenzie Y. ​"Some time ago I had a couple of very demanding weeks, and suddenly felt very drained, with no energy. 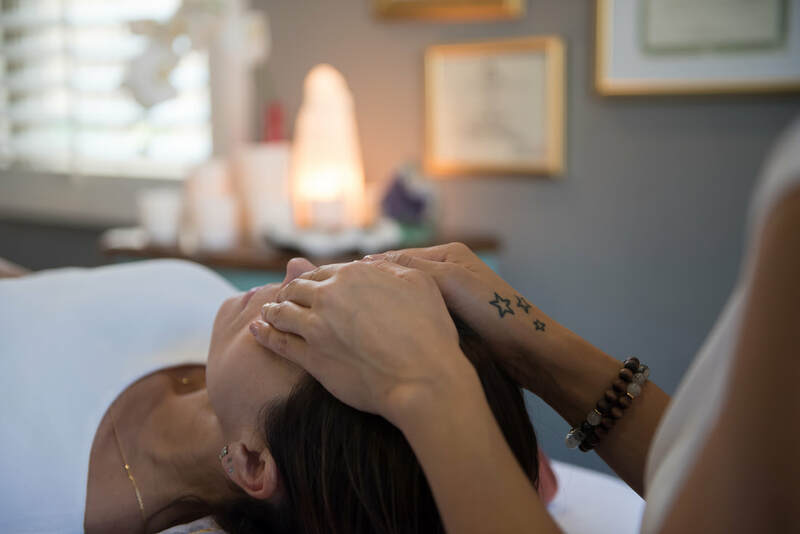 I am a mom and a holistic practitioner, so you figure I spend a great deal of time care-giving - all I wanted when I felt so tired was someone to support me, and that's when I called Flavia for a Reiki session. She made her best effort to see me asap upon my request, and I've got what I needed, I left feeling relived and energized in that single relaxing session, ready to take on the next task. Thanks Flavia, for being there in times of need, for your care and gentle approach." Katia M.
"Flavia walks her talk, she is very knowledgeable and has a lot of experience in yoga, nutrition and holistic practices. She is very dedicated to everything that she does. I strongly recommend her services. And the bracelets from Bija Designs that she makes are beautiful!" Silvia H.
"Flavia is so knowledgeable about healthy nutrition, yoga, holistic practices & remedies. Everything she does is from her heart and you can tell she loves what she does. She customizes according to you and your needs, I did restorative yoga when I was 8 months pregnant and she adapted the poses so my baby and I could get the full benefits of it. I would definitely recommend her if you are looking to be healthier, through nutrition, yoga, mind or any holistic means." Carol G.
"I experienced a reiki session with Flavia and it was amazing! I was tense when I arrived. However, the ambience, sounds and energy made me feel lighter and comfortable. I end up sleeping during the session. 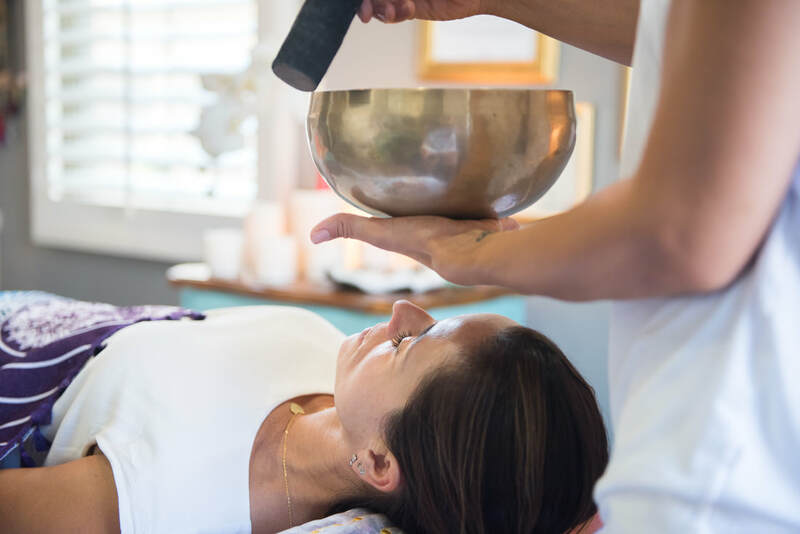 If you need a reiki session, do it with Flavia. She is very knowledgeable and perfectionist." Thelma R.
"Flavia has an incredible knowledge in Nutrition. I love each and every healthy recipe she makes. They are amazing! Even my 4-year-old daughter likes them! They are not only healthy but also delicious. She taught me that eating healthy doesn’t need to be boring and I can continue to enjoy my food without harming my health" Deborah C.
Michelle de Almeida Sarmiento and Andrea Zajonc. ​"Yoga is an ancient science designed to liberate the mind."